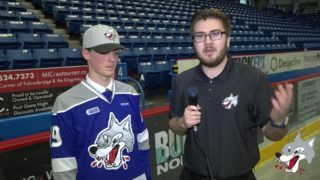 It was a shot at redemption for the Sudbury Wolves on Wednesday night as they visited the North Battalion for the first of four times this season. In another wild game, the Wolves battled back and forth in a nail biter, overtime loss. Down 3-1 early, the wolves took a 5-3 lead later in the game. 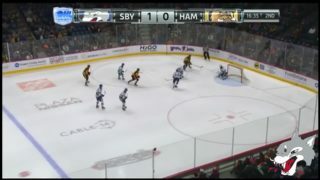 The Battalion weren’t done however as they scored two more to send the game into overtime. Hoping for two points on the night the Wolves had to settle for one as they could not manage to find a way past Mat Woroniuk in the extra frame. 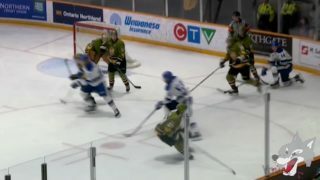 The Battalion won 6-5 in overtime with final shots on net 37-32 in favour of the Battalion. It was a milestone game for a number of players. 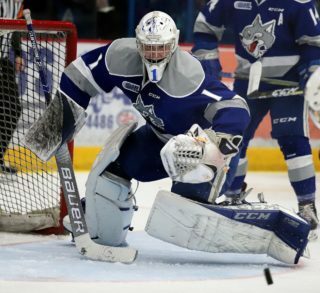 Wolves first year goaltender Marshall Frappier received his first start of the regular season and recently acquired overage player, Troy Lajeunesse scored in his first game in a Wolves uniform. 2017 1st round selection Blake Murray not only scored his first career OHL goal, but added to more to notch the hat-trick. Wednesday also marked the return of Reagan O’Grady who missed opening weekend action due to injury. The teams exchanged goals in the first period with Shane Bulitka and Luke Moncada scoring for their respective squads. In the second period, it was the Battalion who took the lead as they scored two goals midway through the frame, just two minutes apart. The Battalion goals were scored by Luke Burghardt and Cam Dineen. With the second period drawing to a close, the Wolves scored two goals, two minutes apart, this time from Murray and Lajeunesse. Murray opened the final frame scoring at 3:08 into the third period, assisted by Dmitry Sokolov. Just like Sunday afternoon, the third period was filled with goals as Murray added his third, followed by goals from Brad Chenier and Adam Thilander. 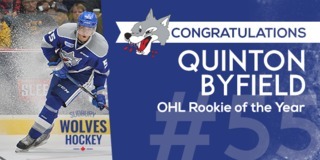 With regulation time solving nothing, the Wolves and Battalion went into overtime. Both teams had some great chances in the extra frame but it was the Battalion who ended the game as Cam Dineen scored at 3:15. The Wolves now return home with one point and will turn their focus to Friday night when they welcome the Barrie Colts. Puck drops at 7:05 pm. 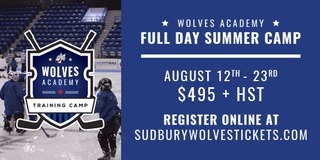 Fans can now purchase their tickets online or at the Sudbury Arena Box Office.